The purpose of this funding is to provide travel support for the dissemination of community engagement research and scholarship. Funding may also be used for relevant training opportunities. Engaged scholarship combines the familiar traditions of teaching, research, and service in equitable partnerships with communities external to the campus. These partnerships have a goal of creating sustained, positive change in both the community and the academy. Engaged scholarship is reciprocal and is conducted in an atmosphere of mutual respect for, and understanding of, partners’ strengths, weaknesses and needs. The ideal engaged scholarship initiative involves faculty and students in partnership with a community entity or entities. Application Deadlines: February 15 and September 15. Travel to be conducted during the spring semester or over the summer term/break should be submitted prior to this deadline. Travel conducted during the fall semester or winter break should be submitted prior to this deadline. Up to three (3) persons per community-engagement project or training can apply for funding. Travel involving the community partner is strongly encouraged. Separate applications should be submitted for each individual for whom funds are requested. A maximum of $1,000 per applicant can be requested. Please name the additional applications and whether they are faculty, students, or community members. Describe how UA students are involved in the project. Name the community partner. Describe how the community partner was involved in the project. Has the department head, chair, director, or dean approved this request? If so, please indicate his/her name, date of approval, and telephone number and email address. 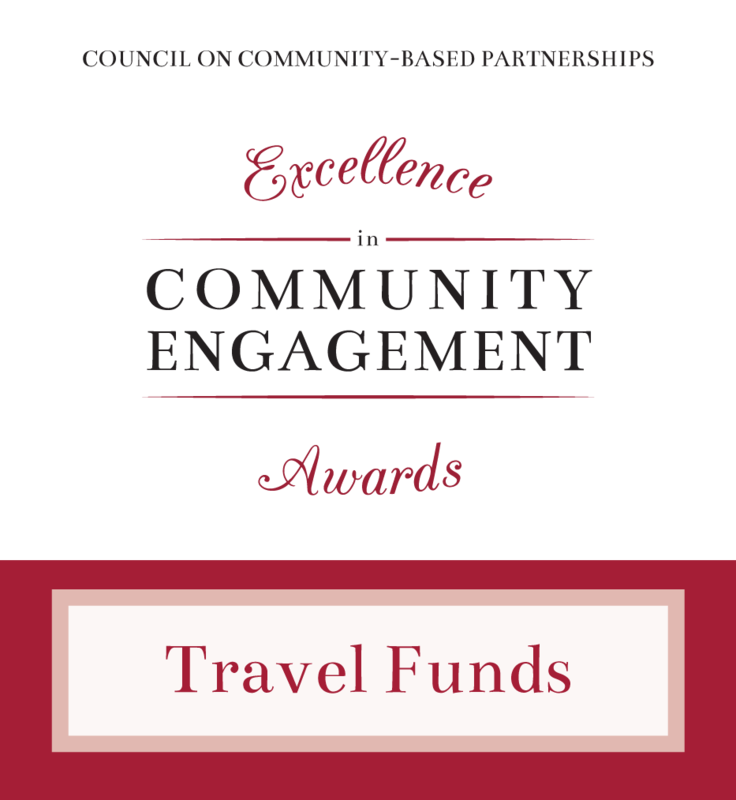 You may apply for travel funds for presentations that have not yet been accepted; however, disbursement of funds is contingent upon acceptance. Applications should be submitted by the faculty member involved in the community-engagement project or by the Department Head on behalf of the faculty, student, and/or community partner. Up to three (3) persons per community-engagement project or training can apply for funding. Travel involving the community partner and students is strongly encouraged. A maximum of $1,000 may be reimbursed for individual faculty, student, or community member applications. Matched funding from departments or colleges is encouraged. Preference is given to applications that show a high level of community engagement scholarship (for presentations) or potential to enhance community engagement scholarship (for training). Download a PDF of the rubric used for the Travel Funds applications here.